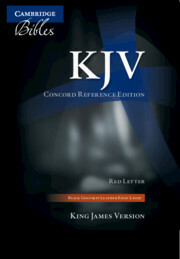 Many people throughout the world use the King James Version, and it remains the most widely known and quoted version of the Bible. 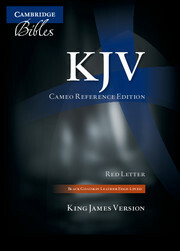 The Cameo Reference Bible includes the Old and New Testaments, cross-references, a concordance, Bibles maps and gazetteer – all in a handy size slightly larger than the Compact Reference Bible. 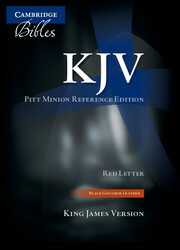 This particular Bible has the words of the Lord printed in red, and is bound in white bonded leather. It also offers a number of presentation pages, including a family record giving space to record details of marriages and children's names. The handy size of this Bible and its white leather cover, silver edges and presentation pages make this an ideal Bible for baptisms, confirmations and weddings.